This is a sponsored post from Avery & Martha Stewart, but all opinions are mine! <— scouts honor! 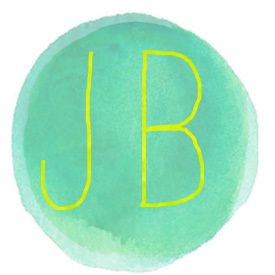 I don’t know about you but I love to make labels for everything. Whether it’s a gift card, present, table setting, or a good ole envelope. Call me OCD and I will nod gently up and down while staring at you in the eyes. I would like to clarify that a little. Let’s just say I am obsessive and I like things to be consistent. 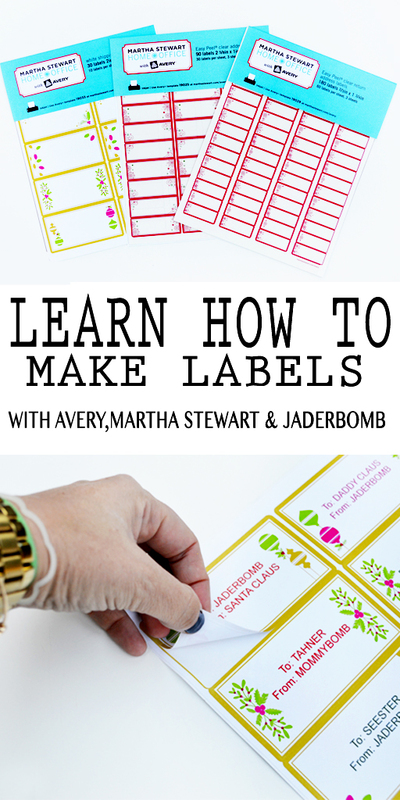 Now grab your Santa hat because I am about to show you how to make printable labels, the easy way! 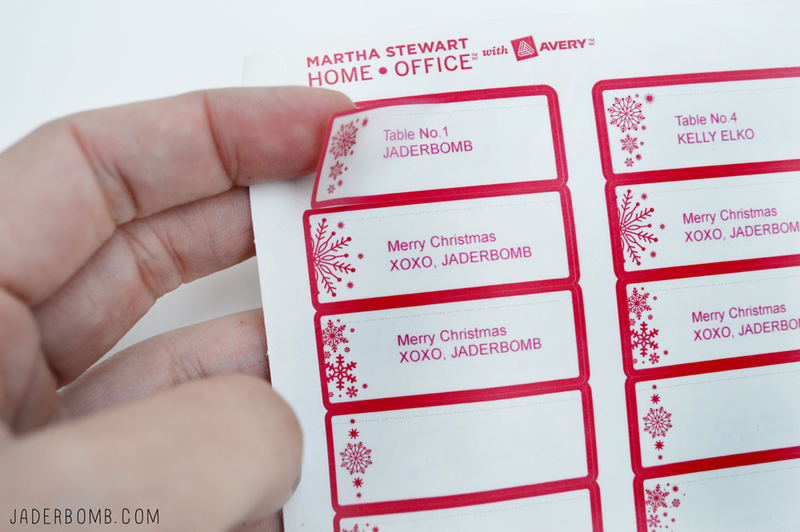 The good news is all you have to do is grab someAvery (Martha Stewart) holiday labels from Staples download the template to your computer, write what you want in the labels and VOILA! It’s that easy. I love the ones below because they are clear and if you have a print on an envelope you can still see the background through the label. How stinking cool is that! 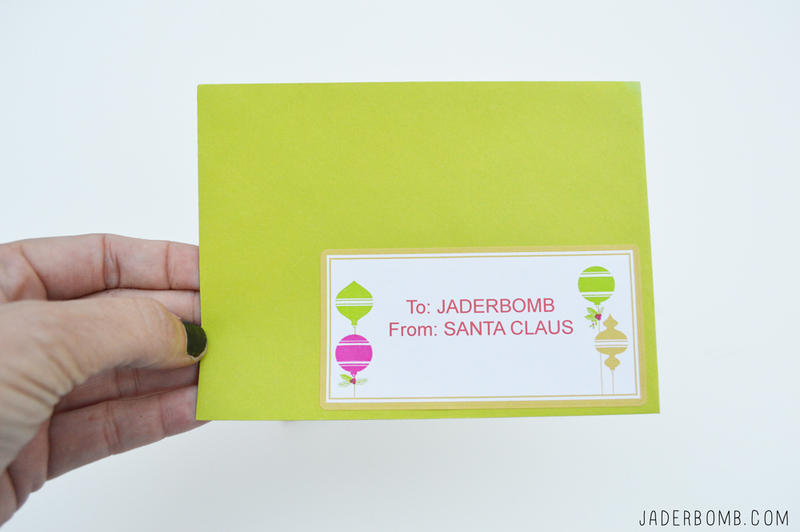 I like to give everyone cards for Christmas and these printable labels make anything look real “Fannncyyyy”. Everyone will think you spent hours hand carving their label (not really), but it sounds nice! I guess now I have to fill envelopes with globs of money. I will just put more in mine and open it in my closet when everyone is sleeping. Hopefully the Santa won’t catch me. 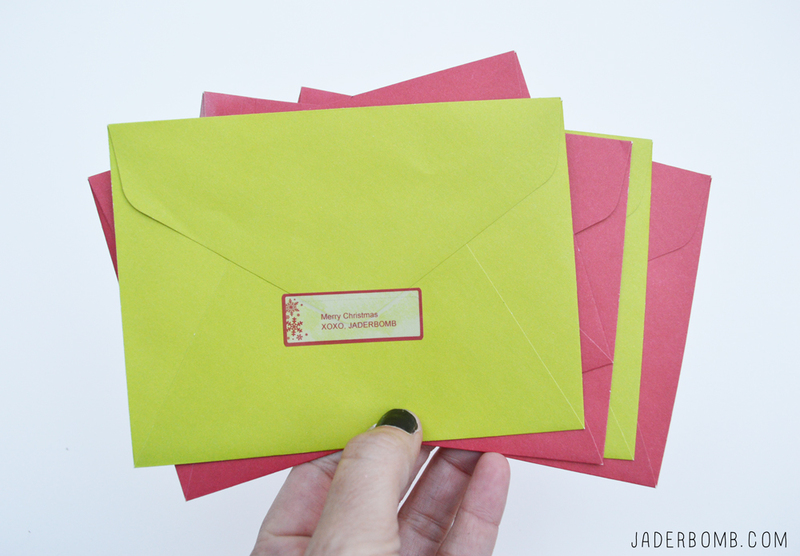 If you mail out cards for Christmas these will save your life, for real. Just incase you forgot where to get these babies hop on over to the Staples site and pick out your favorite ones. P.S. Santa if you read this I am still waiting on my Land Rover. Happy Holidays from my heart to yours!